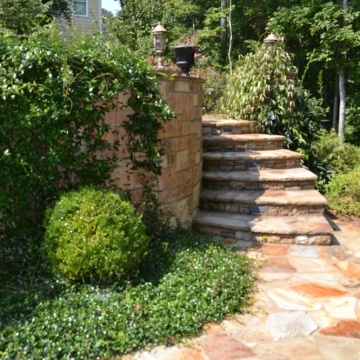 Since 1974 Brown's Pools & Spas has been in business serving the Metro Atlanta and West Georgia area. 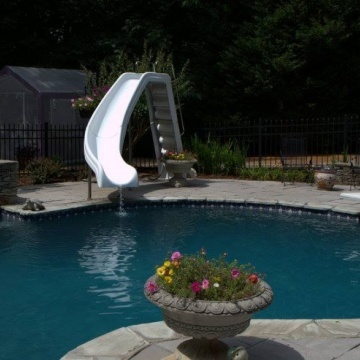 Beginning as a small, seasonal, pool chemical shop, throughout its history Brown's has steadily added additional products and services over an ever-growing market area. 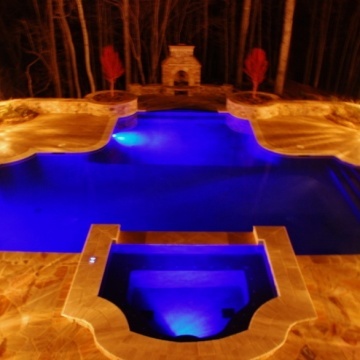 Brown's Pools & Spas has installed over 3,000 swimming pools in the Metro Atlanta & West Georgia area in its history and last year served over 50,000 customers in its retail locations. 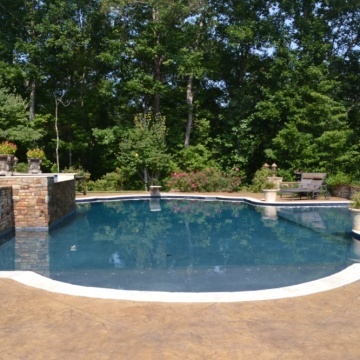 Brown's Pools & Spas currently serves all of Metro Atlanta & West Georgia with our New Construction, Remodeling, retail, and service departments. 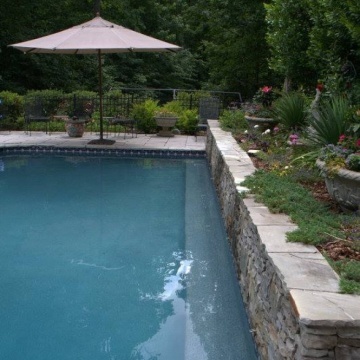 In addition, we construct new in-ground pools throughout all of the metro Atlanta area, as well as all North Georgia and western Alabama. Vince is the guy that handled my project and this is the third pool they've built for me and if Vince is still there I will be back! I was very pleased with all the staff and service I received from Brown's Pools and Spas. They were helpful anytime I had questions regarding equipment or supplies. David, Dale and the crews that built our pool where efficient in all areas of pool construction. 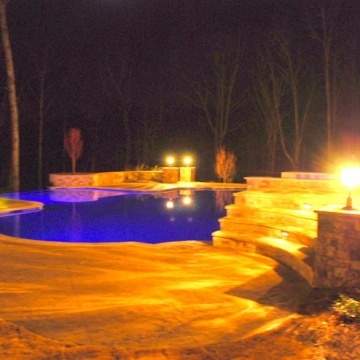 Great, honest, and dependable pool construction company. All involved, it had to be a team effort! Consider Browns pools and spas if your interested in a pool or spa. You will be satisfied. I was most satisfied that their people were very nice and the installation went well. First pool purchase for us. We did a lot of research and decided to go with Brown's. Being first time pool owners we had a lot of questions about set up, maintenance, cost, type of pool etc. 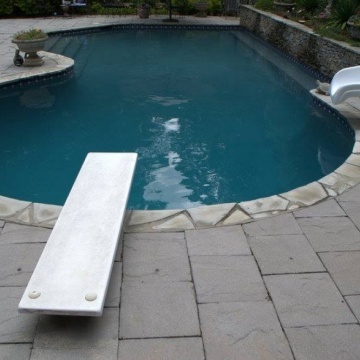 Brown's answered our concerns and helped us with understanding pool ownership. We received a good price on the size pool we wanted. The crew can out and did an outstanding job with set up. Vince was fantastic to work with. I was most satisfied with the entire process working with Vince. Vince provided us with exceptional service. Everyone at Brown's Pools did a fantastic job! David was wonderful and offered great suggestions. Ricky is a pool expert and his whole crew worked really hard too.We love our newly improved salt water pool. 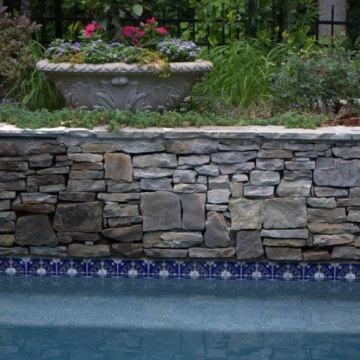 David's personal service and he always answered our questions and offered options.Ricky has been working on pools a long time and has lots of experience and valuable advice. There was a problem that I didn't anticipate having. The pool was so old and they did a good job of renovating it. I was most satisfied with the service, maintenance, and the installation. I would like to recognize, Rick the installer and David, the one who made the plans. They did a fine job and I am very pleased. I was most satisfied with how informed they kept us, and that they did what they promised. We heard about them because they have been around forever. I was most satisfied with the whole process. They all did a good job. Great product but very poor customer service and follow through. I was most satisfied all over. I heard about them because I live in the area. I will never recommend this company. If I could, I would go to the news and photograph what they told me they were going to do versus what was actually done. They were exceptional and did excellent work. We can't say anything negative them. We will highly recommend them. I was satisfied in all areas of our experience with Brown's Pools & Spas. We have used them before in the past. We would recommend everyone who assisted with the project.